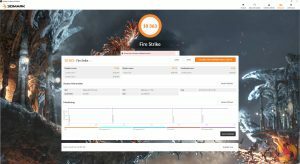 3DMark is a showcase DirectX 11 benchmark designed for today’s high-performance gaming PCs. 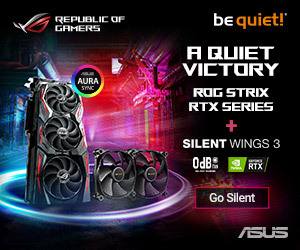 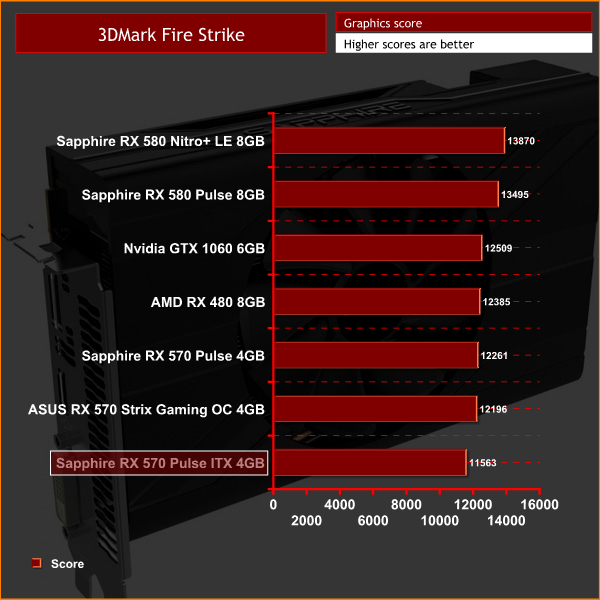 It is FutureMark’s most ambitious and technical benchmark ever, featuring real-time graphics rendered with detail and complexity far beyond what is found in other benchmarks and games today. 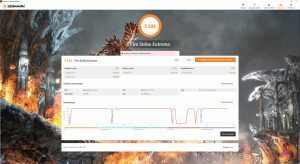 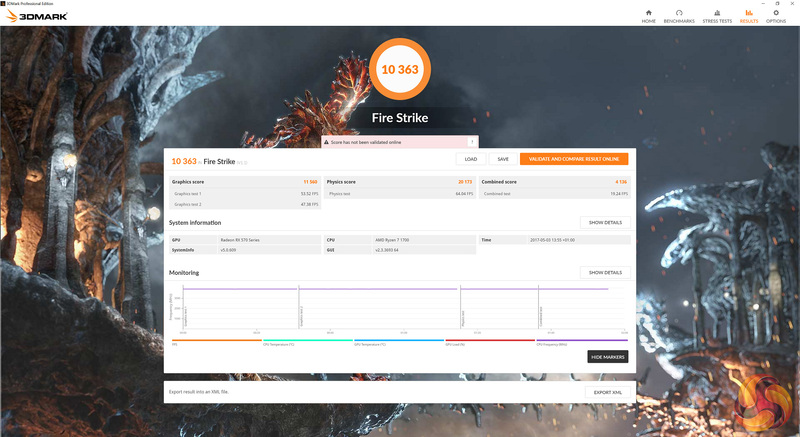 We run 3DMark Fire Strike (1080p) and Fire Strike Extreme (1440p). 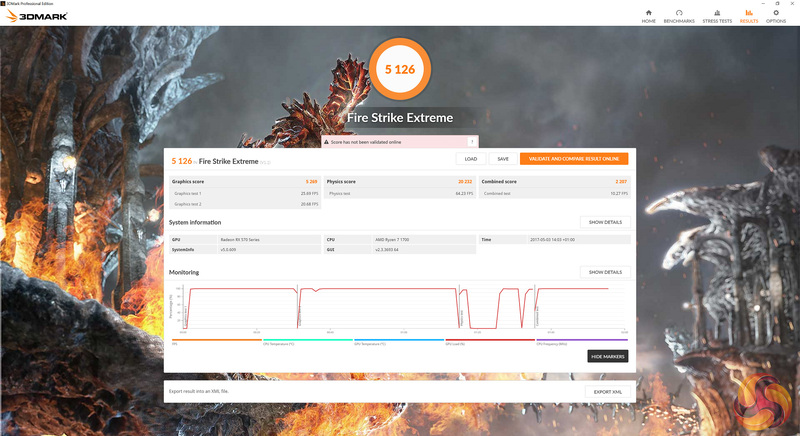 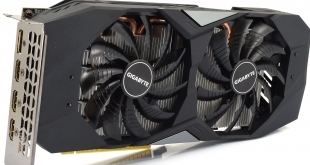 As expected, the Pulse ITX RX 570 can’t quite keep up with its competitors due to its lack of a factory overclock. 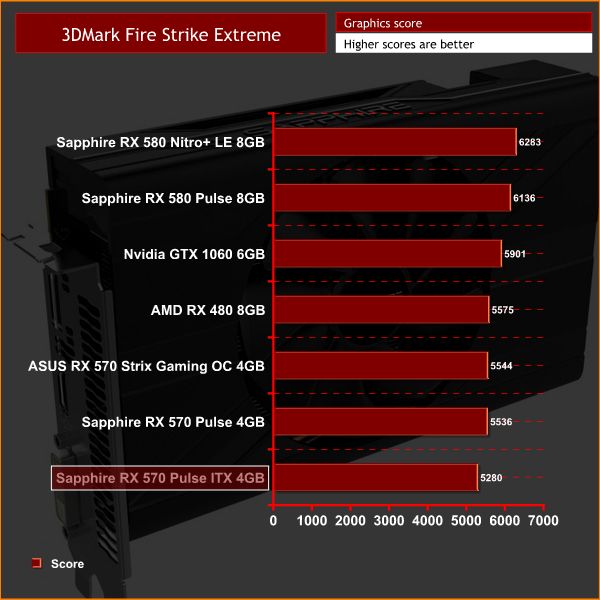 I would expect this to be a consistent trend throughout our tests today.